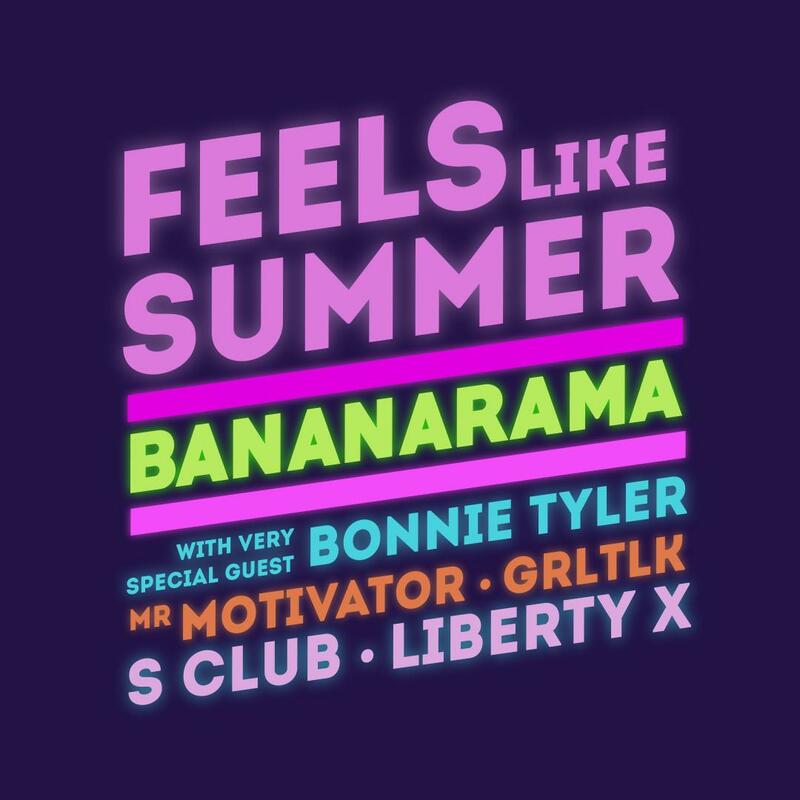 Feels Like Summer is a brand new event for Cardiff with music from headliners Bananarama, Bonnie Tyler, S Club and Liberty X! Brand new music event for Cardiff in 2019 called Feels Like Summer! * Music from headliners Bananarama, Bonnie Tyler, S Club and Liberty X! * A workout with Mr Motivator! * GRL TLK Spininng the tunes!